An activity not to be missed in the region of the Tarn Gorges, accessible to anyone who knows how to swim. 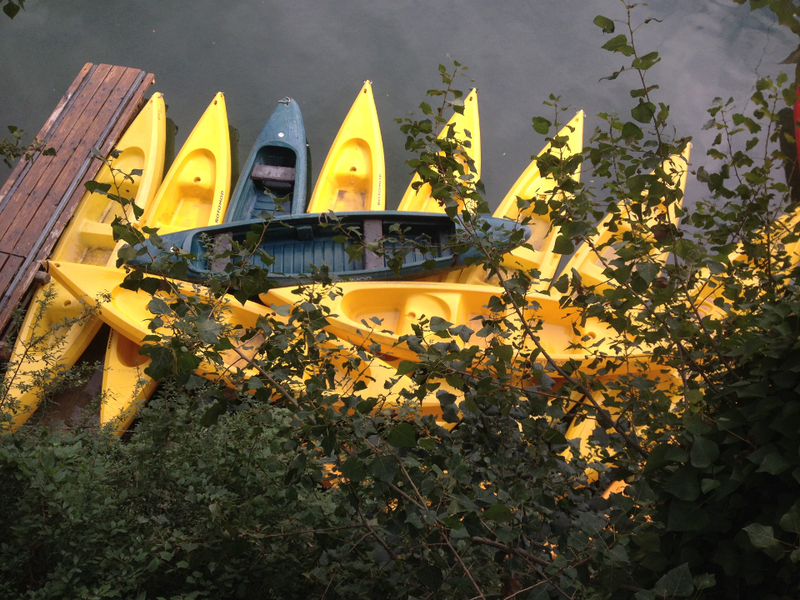 We provide you with 2-seat canoes, one-seat Frenzies or, for the more adventurous, kayaks. Family trips : the advantage of it is that you arrive directly at our base, no appointment with a driver, you arrive when ever you want. You can enjoy the river until 6.30pm. Starts from 5 years old. – Peyrelade-Aguessac 7 km : easy and short (about 2hrs). Sportive trips : Better to have ever done some canoe before or just get ready to fall in the water. Starts from 7 years old. – Les Vignes-Peyrelade (17 km) or Les Vignes-Aguessac (24km) : If you feel that you need to spend more energy, a full day trip on the river is perfect for you.it’s about 5 to 7hours paddling down the river. Bring a Pic-Nic, a book and a towel, smell and listen the nature, take your time, you are in Aveyron. 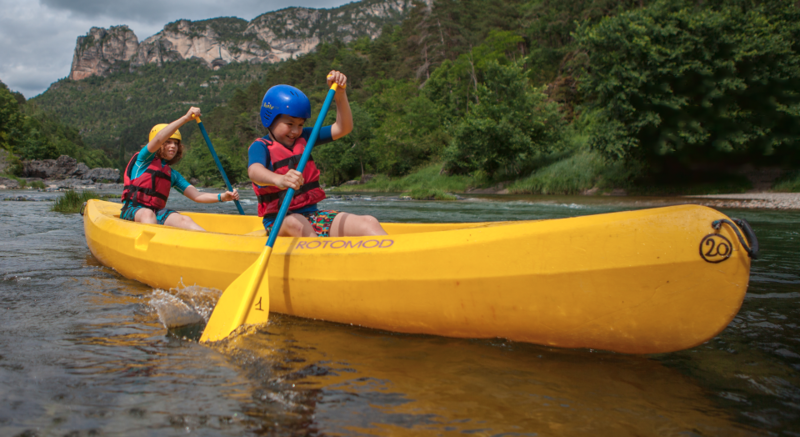 Learners : Paddling school and supervision. contact us for more informations. Peyrelade - Aguessac (base Esprit Nature) : Nice descent initiation 7km : short and easy, with a few quick : Ideal for first and initiation. For a good organisation, thank you to call to make a reservation. 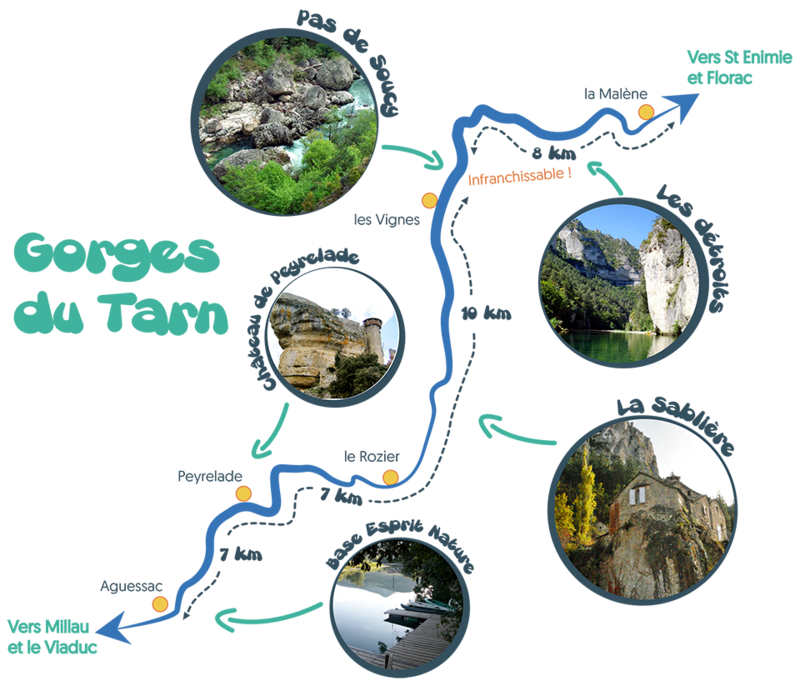 These are the fastest 10 km of the Tarn gorges, to do after an initiation. The descent is punctuated many rapids. This descent is widely available as soon as we possibly accept it from tipping. The difficulty varies depending on the water level. The descent is slightly more difficult pre-season. 17 km, but even starting the descent continues in the Tarn valley, to combine distance and fast descents. 24 km, to perform a rugged day. Descent of the gorges of the Dourbie (only for custodial groups). A second alternative realize after Vignes-Le Rozier. For a good organisation, please call to make a reservation. 1/2 day whitewater development: the Millau basin or into a vein to discover slalom techniques : pot, cover current and stop current. For a good organisation, please call us to make a reservation. It is by hiking the gorges of the Tarn offer us the best of themselves. We propose to get off the canoe (or kayak) for 2 to 5 days (or more) between Ispagnac and Aguessac, or downstream to Saint Rome de Tarn (transition to Millau, then under the viaduct). The bivouacs are traditionally planned for camping near villages to facilitate refueling. It is also possible to find accommodation hard for lovers of comfort. The number and length of the steps depends on your desires and motivations. It is essential to maintain the prior screening to organize the course. Usually, we anticipate the start the evening. The descent takes place independently, so you have to love roaming and camping. The length and pace allows to immerse themselves in the landscape. Our Prices are here ou sur la page dédiée. Our price includes equipment rental and all the shuttles, including portering of “Pas du Soucy” Souci (impassable upstream of the Vignes). It does not include food and accommodation remains at your expense and pay locally.